Deanfield J, Sattar N, Simpson I et al. 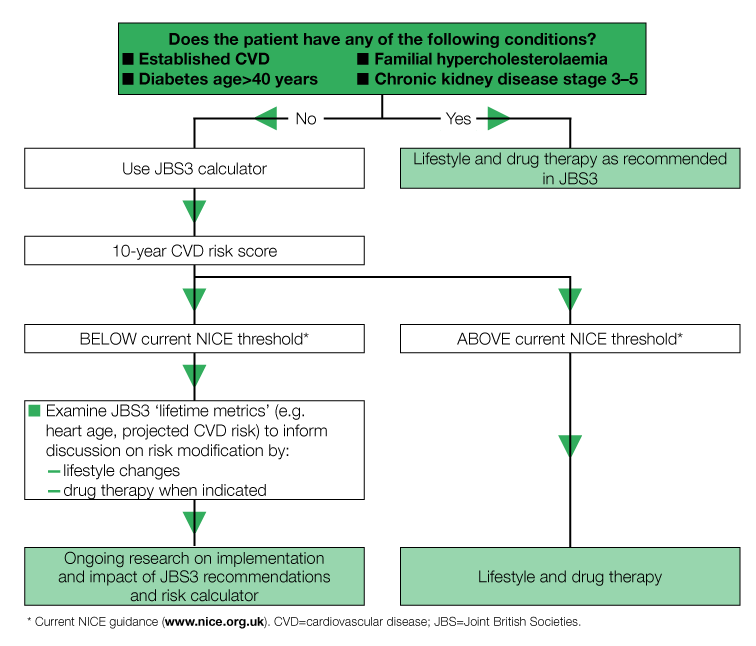 Joint British Societies’ consensus recommendations for the prevention of cardiovascular disease (JBS3). Heart 2014; 100: ii1–ii67. March 2014. Reproduced with kind permission from BMJ and Heart. Content not influenced by pharmaceutical companies.